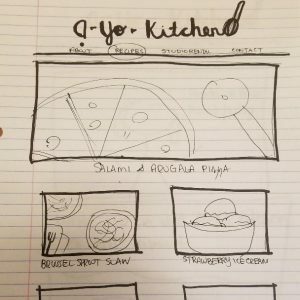 The last few weeks I have been working on a new website for a A-Yo Kitchen, a York PA recipe developer and food photographer. 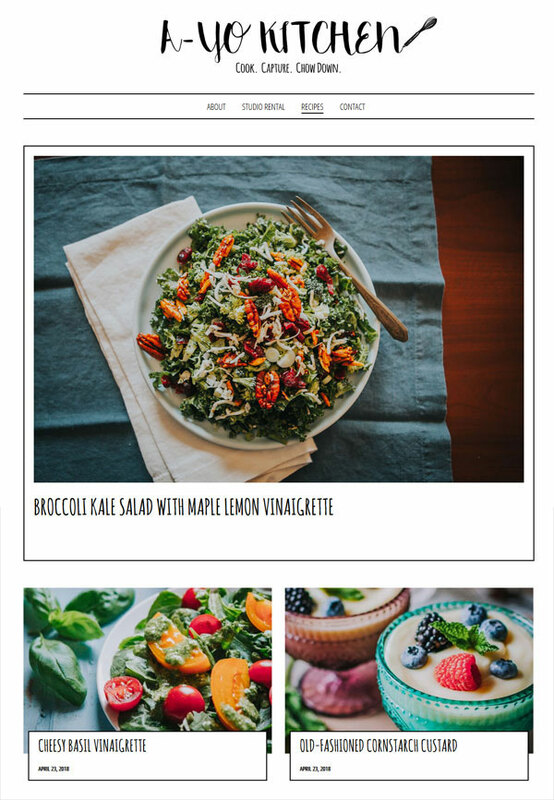 This startup business is the brain child of Alysha Yoder, who has such talent when it comes to preparing, styling and photographing food. I was literally slobbering as each photograph got uploaded to my dropbox. Alysha wanted a very minimalist look to her web site, where her photographs have the staring role. She had actually picked out a WordPress template before we connected and had dabbled with it on WordPress.com. However as with a lot of templates and the limitations faced when running a website though WordPress.com, she was unable to make it do exactly she wanted to achieve her vision. It needed the magic touch from a professional web designer! 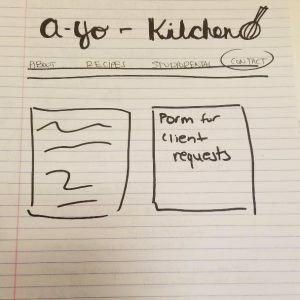 The first thing I did was to get it off WordPress.com and set it up as a self hosted site. If you need multiple plugins and are after a particular functionality it is actually more cost effective to take this route. I brought the site to life. It is actually really useful when a client can provide sketches as it really helps clarify exactly what they are after. 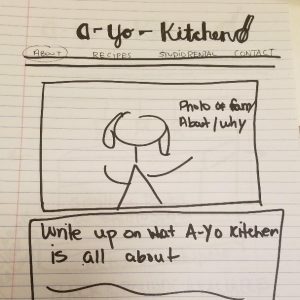 Take a look at it at ayokitchen.com, it will have you slobbering too! I have been in business a long time and have built hundreds of websites. 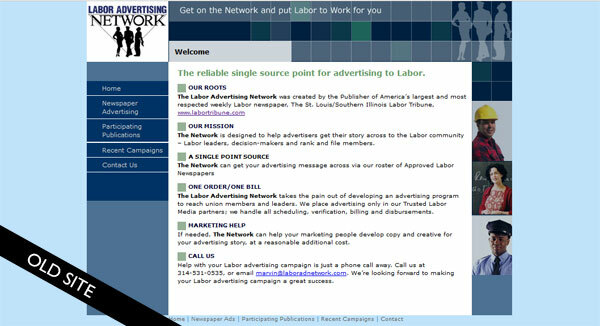 Websites come and go, they get redesigned or disappear altogether but a site I built for Labor Advertising Network in 2005 was still in use. As you can imagine it was looking rather dated and lacked modern day functionality. I have kept in contact with the client and last month got a call from them saying they were ready to bring their website to present day standards but were on a very tight budget. They wanted it converted to a WordPress website so they would be able to edit it themselves and also ensure the new site offered mobile friendliness to their users. Recognizing their budget considerations, the most cost effective approach for them was to use a ready made WordPress template. After installing and configuring WordPress on their server I selected the Twenty Seventeen template to customize. 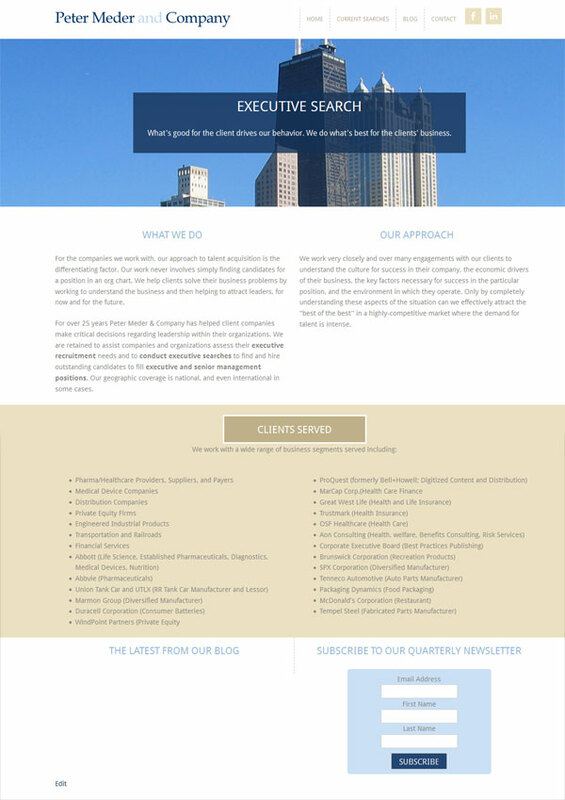 It is a very clean template, lends itself to small uncomplicated sites and is of course, beautifully mobile friendly. 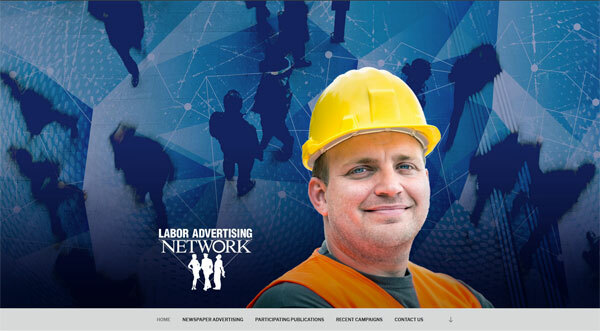 The Labor Advertising Network is a network is designed to help advertisers get their story across to the Labor community. 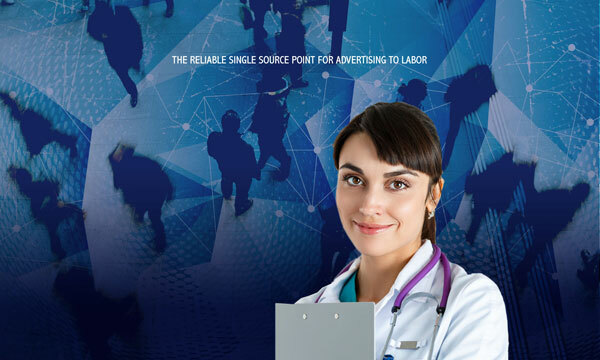 This distribution network is conveyed in three custom designed graphics which feature in the huge banner area on the home page. 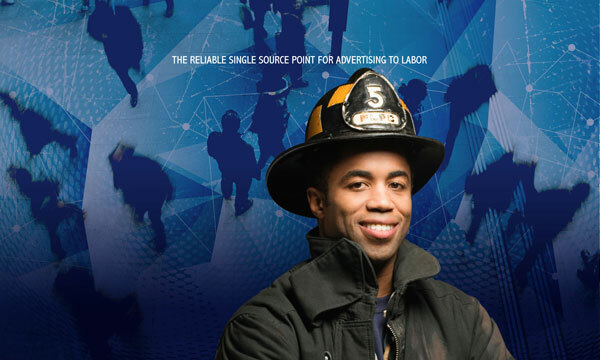 Each banner features a different professional and they are randomized so a different one displays each time the home page is visited. 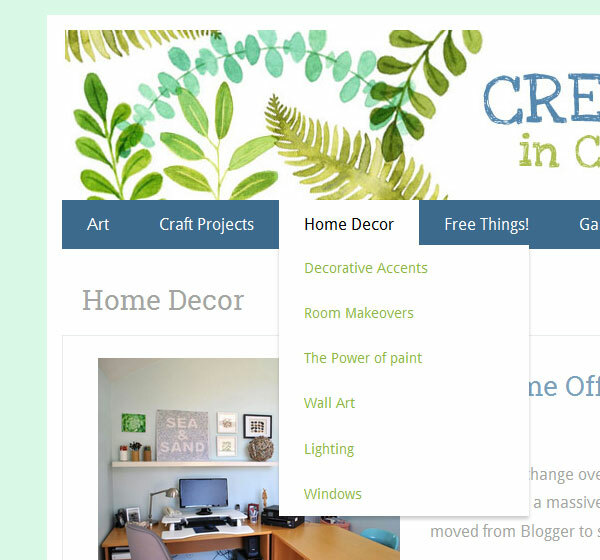 A few lines of custom CSS added a color to the navigation bar and footer. 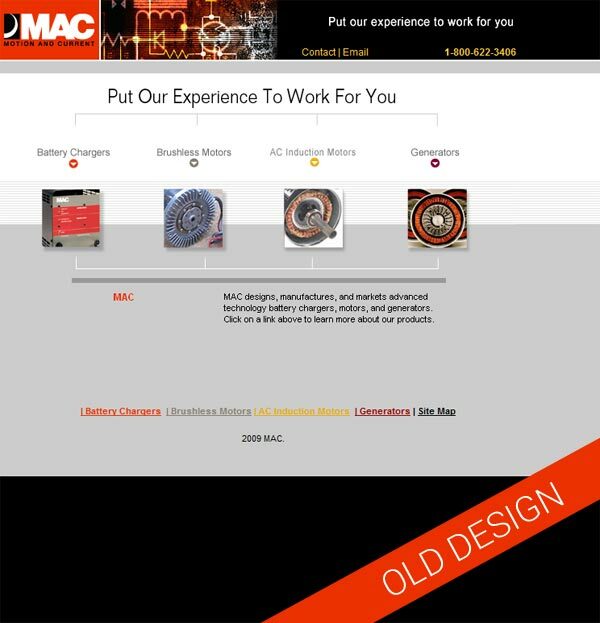 It’s always fun to take a look back, here is the old static site. Their new site certainly brings them up to date. Launched today is a brand new website for children’s author Gary Scholar. Gary has written a series of 39 children’s books – BAP Books – Believe Anything’s Possible. They address issues many kids struggle with such a bullying, illness and overcoming fear but also issues like losing a parent, adoption and foster care. All of his book are available through Amazon. Gary first came across our web design services when we launched a website for a St Louis Children’s author in 2006. He kept our contact details on the back burner and touched base with us in the Fall last year. By that time we had relocated to Chicago which is where he is based. We had obviously made an impression for him to reach out after all those years! Built on the WordPress platform the website is mobile friendly and designed to easily accommodate further books. 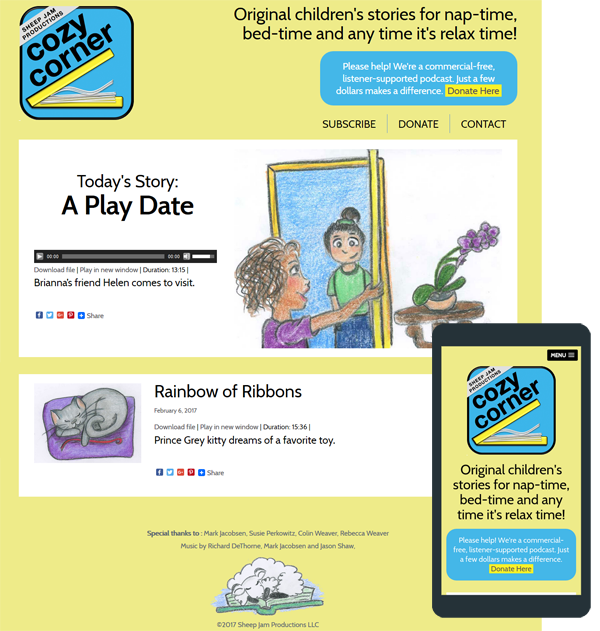 The site has a very simple design, created to appeal to pre-k kids and their parents. Each day it will feature a new audio story – all the stories are original and also include relaxation techniques designed to help the little listeners unwind and prepare for bed. The stories are organized as podcasts enabling listeners to easily subscribe and use a multitude of devices to enjoy. I have been working, pro bono, for this not for profit organization for the last six years. 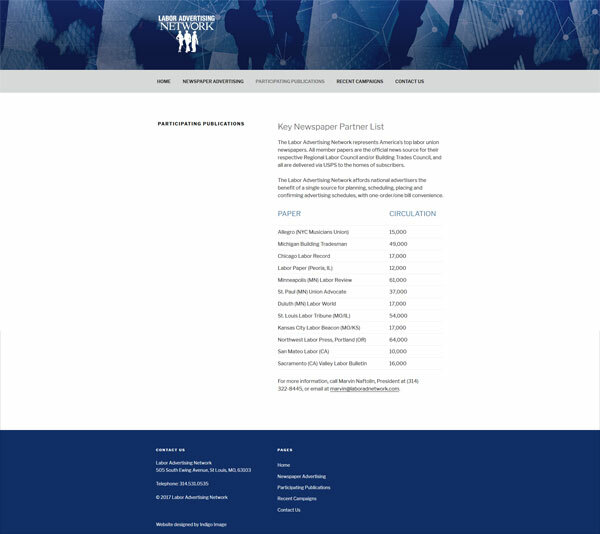 In that time I have help them move with the times, updating a very dated website and then making the web site responsive and even integrating a new logo. This latest update was driven by the old website becoming very cluttered as it had become updated. The new look offers a much cleaner simpler look and features the stunning photographs from the book published by Burns Recovered “Beauty Is…” The site offers very clear call to actions and performs beautifully across all devices. 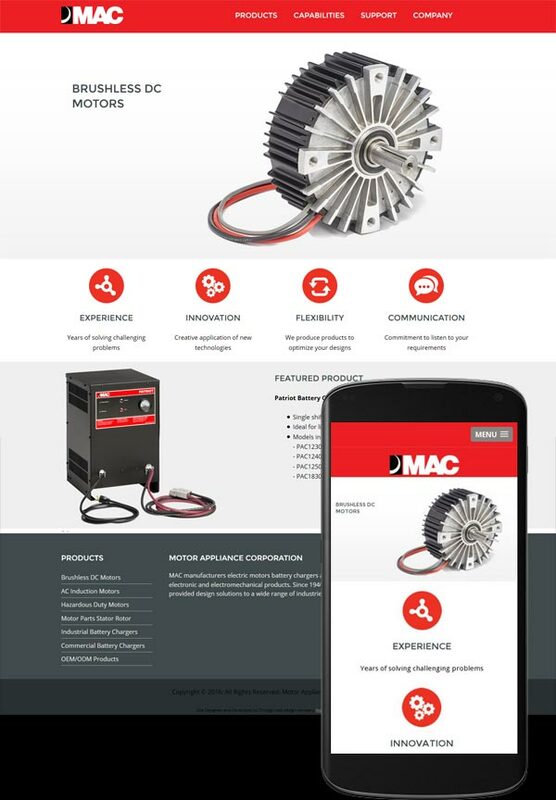 We have been working with Motor Appliance Corporation for many years… mostly on the graphic design of technical products flyers and precision design of overlay stickers for their products. The new website was built on the WordPress platform which will give the client much more freedom to self maintain. We offer full training on using WordPress in the form of screenshot videos in which we walk through a specific task. This approach works really well as they can be viewed and revisited as many times as as required. The site itself is very clean, with power pops of red in keeping with the branding elements and is fully responsive. 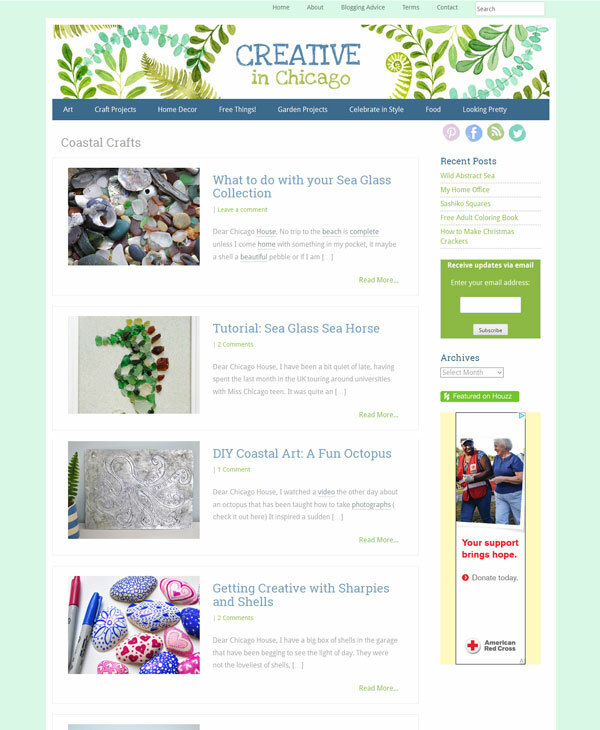 Creative in Chicago started life on the Blogger platform in September 2010. It that time it has seen amazing growth with monthly traffic regularly reaching 60K hits and a good steady revenue from advertising. 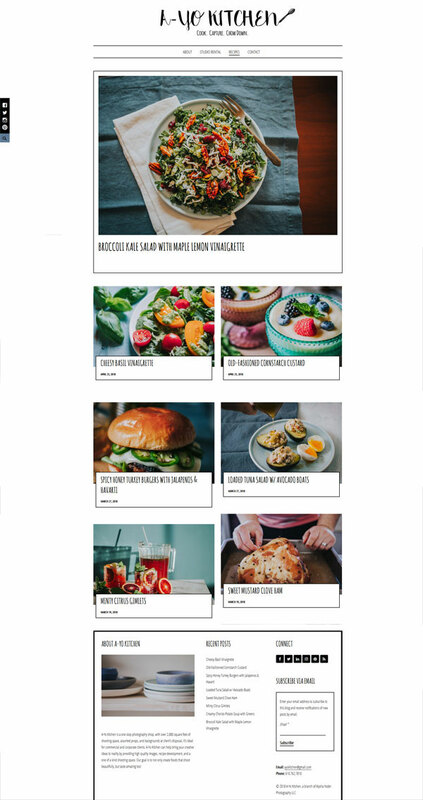 While Blogger is a fantastic platform it does have it’s limitations and it was time to take to the site to the next level and convert it to a self hosted WordPress site. With over 340 posts this was no mean feat! There were two really critical elements to the project. Maintain all the equity built up with the search engines and across social media platforms. It was important that the urls’s of all the pages remained the same so anyone clicking on a link would be delivered to the correct page and not be met with the dreaded “NOT FOUND” screen. A staggering 60% of the visits to the site come from mobile devices so it was imperative that mobile users have the best experience possible. It was also time to give the site a fresh new look so the project also included a redesign element. 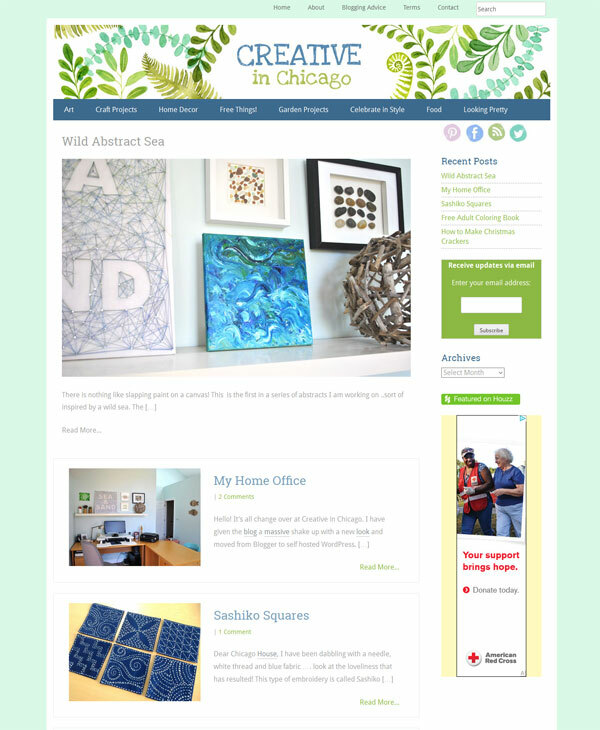 The home page now offers a featured project and fantastic photographs are displayed throughout. And the site has been carefully organized into categories which all give a photo overview and excerpt of each post. 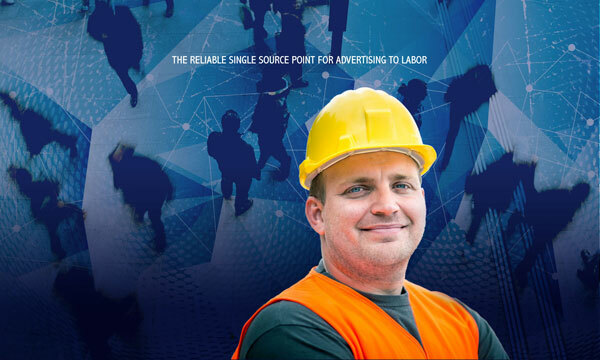 The site was launched with zero loss of performance – the traffic is steady and strong and advertising revenues constant. 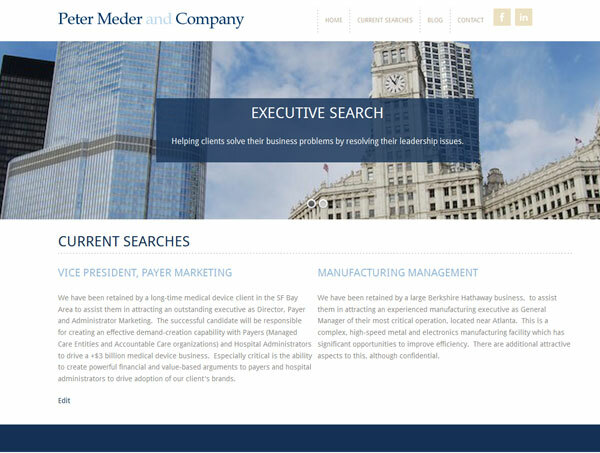 We have worked with Peter Meder & Company, a Chicago executive headhunting company, for over six years now. The original site we created had served them well, but was created before the popularity of smartphones … as a result it did not offer site visitors an optimum “mobile experience”. I recently built an eCommerce website using WooCommerce and a functionality my client was looking for, was the ability to receive a simple text message that they had a new order. WooCommerce automatically sends out an email when a new order is generated but my client didn’t want to be a slave to checking their inbox…a fair enough request I thought! My first approach was to use a SMS plugin but it appeared there was no free way to achieve this simplest of tasks. So I got creative! Start by creating a unique email address through your hosting provider. It can be as obscure as you like e.g textalert@company.com…the only emails this account will receive will be from WooCommerce. 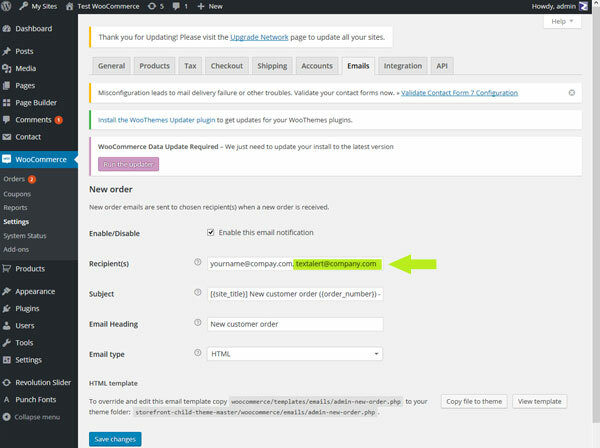 Log into your WordPress dashboard and navigate to WooCommerce > Settings > Emails > New Order. Add your newly generated email address. Log into your newly created email account. The email account I used was powered by SmarterMail and through their settings I was able to set up an Event with an Action that would trigger whenever the inbox received a new message – ie an order had been generated. The way you do this will depend upon the email provider but SmarterMail makes the process very easy. The clever part comes in the configuration of the Action. All cell phone numbers have an email address associated with them, all you need to determine what it is. is the cell phone number itself and the cell phone carrier. 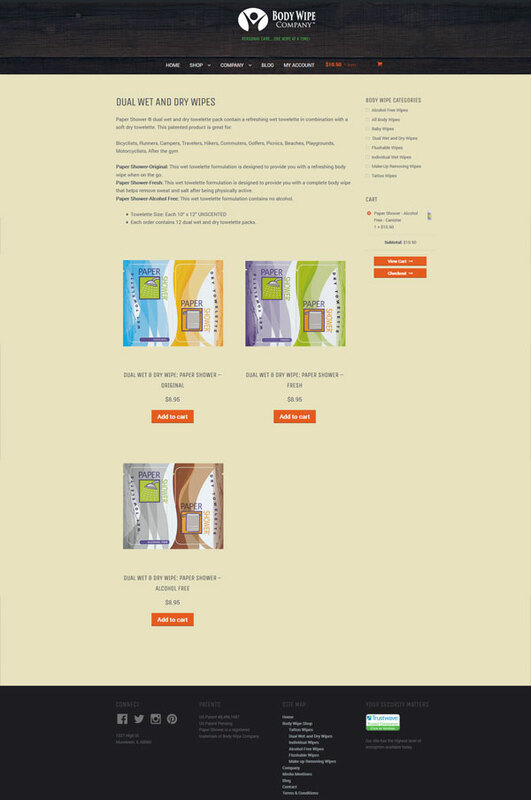 The site sells all sorts of body wipes including a brand concept in wipes – Tat Towels. 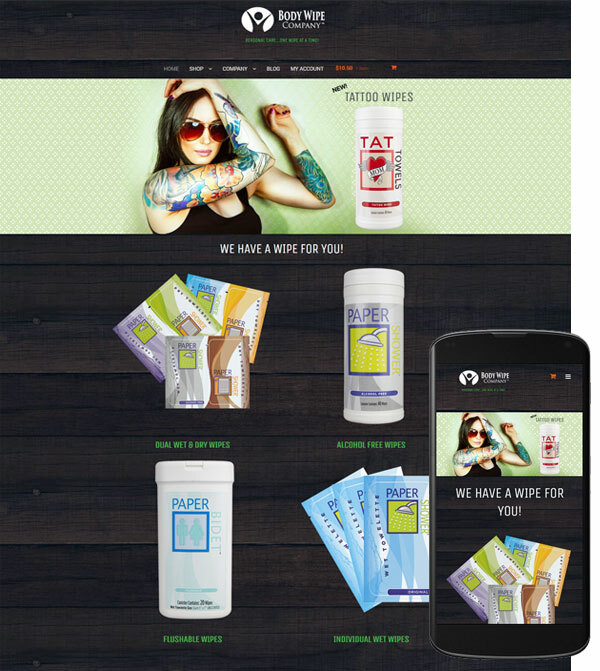 These wipes are specifically designed to moisturize and enhance older tattoos making them POP! The site has a hip look with no fluff. It was designed to keep the shopping experience as streamlined as possible, enabling shoppers to get in and out quickly, with minimum clicks and fuss. It even gives them multiple options when it come to payment – credit card, Paypal or even payment through Amazon. The site is of course mobile friendly.